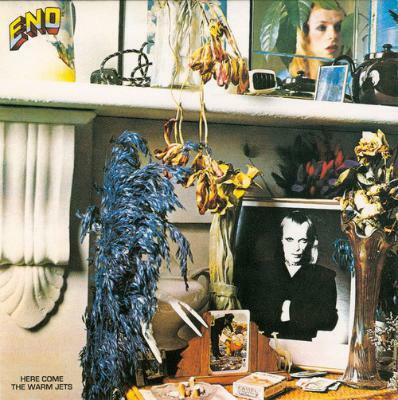 There are very few bands that I have more than two or three records by, and with Eno in particular I think everything that Brian Eno does best is on this record. I've tried to listen to other Eno records but I still get more from this one than from any of the others. There's just something about it. It's got this wonderful ramshackle element to it, but at the same time it's really experimental, and everything he does best is there. I remember listening to The Unforgettable Fire and the bits I listened to most were the bits that were obviously Eno overdubs or reflected his attitude coming through. And on that same tip it's already on Here Come The Warm Jets. Plus it's got some brilliant musicians playing on it. There's that classic guitar solo by Robert Fripp on 'Baby's On Fire'. Everybody stops talking when those 32 bars happen, or however long it is. And it moves from mood to mood. Every song on it has an atmosphere. 'Cindy Tells Me' is kind of flippant. You can imagine him writing that on a Sunday morning with a hangover, waking up in a stranger's apartment that happens to have a piano. Maybe he was thinking that Roxy was commercially successful - I wonder if I can be as well. And at the time he wasn't, of course: it was just, oh god, here's a weirdo record from that bloke that used to be in Roxy Music. But I think there are a lot of great pop tunes on there as well as it opening the door for a lot of experimentation.